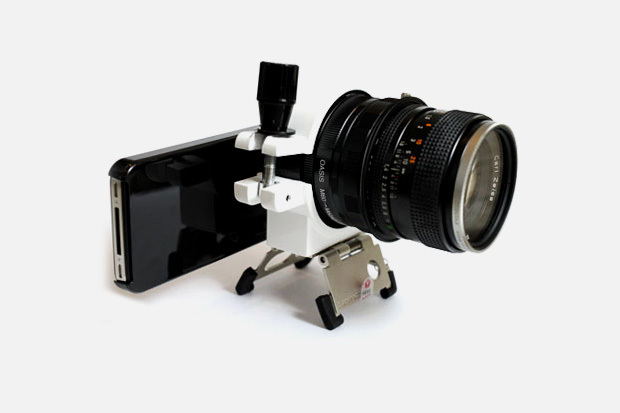 Home Accessories Apple iPhones iPhone 4 with DSLR Lens! iPhone 4 with DSLR Lens! Apple’s iPhone 4 has surpassed the hopes of many, yet its 5-megapixed camera is outdated in comparison with some of its competitors like HTC’s Evo 4G, featuring an 8-megapixel camera. 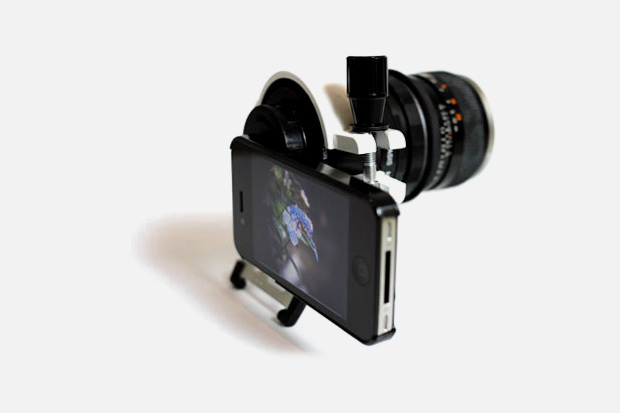 A fresh sample around the net shows how a discrete character formed a special tripod to attach a DSLR lens to the iPhone 4. An invention like this can definitely help a wandering photographer who avoids carrying apparatus around the trip at all costs or the one who just wants to enter the world of photography and cannot afford expensive equipment. Isn’t the creation just brilliant? Have your say!